Our February guest is Antonia Senior - welcome! It's not often that February has 29 days and hence a guest slot on The History Girls. There's a competition too, so please scroll down when you have read Antonia's post. Antonia Senior is a writer and journalist. After studying History at university, she worked at The Times for fourteen years in a variety of roles, including acting Business Editor and Leader Writer. She became a freelance after the birth of child number 2, to concentrate on writing and reviewing books. Antonia writes the monthly round-up of the best new historical fiction in The Times’ Saturday books section. She is a judge for this year’s Historical Writers’ Association debut fiction crown. 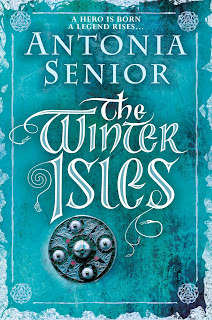 The Winter isles, the story of Somerled, the first Lord of the Isles, is out in paperback in April. 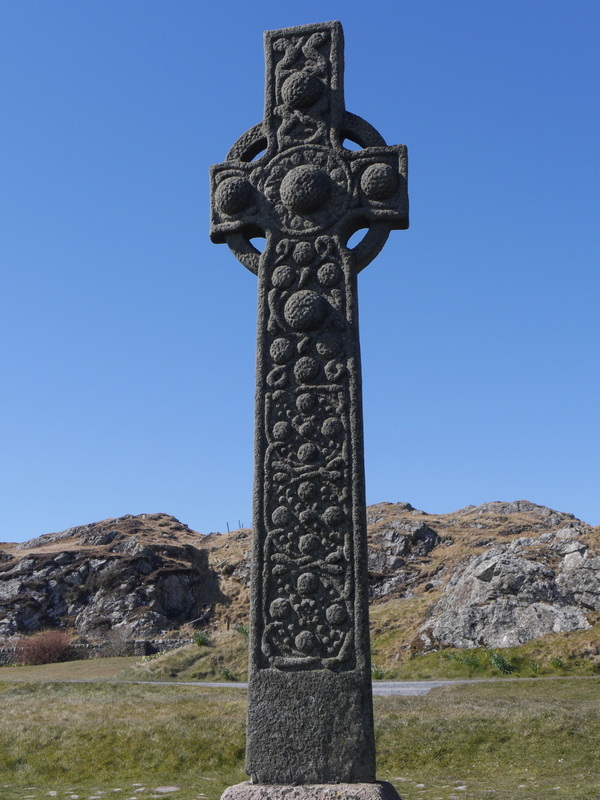 How the landscape of Scotland inspired and shaped my book: The Winter Isles. No one thought I should write The Winter Isles. Its hero is a twelfth century Scottish warlord - a man more mythical than historical. A warrior in a brutal age. Me? I’m a middle-aged Mum who lives in London, and cries when my eyebrows are plucked. My agent was kind but wary, my publisher was tremulous. I was furious at my own obstinate insistence that this was the story that I wanted to tell. 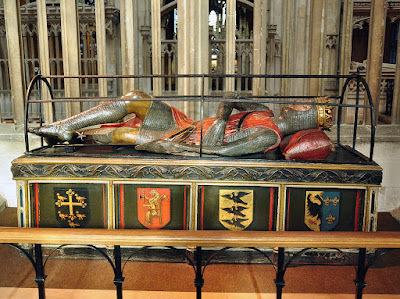 The compulsion to write about Somerled was rooted in one thing: my absolute love of the place in which he lived. The wild West coast of Scotland is my favourite spot in the world. From beautiful Barra, with its machair-backed beaches and music-filled pubs, to the empty, purple hills of Ardnamurchan – this is the land that makes my urban soul howl to the moon with joy and hope. And I wanted to write about it. 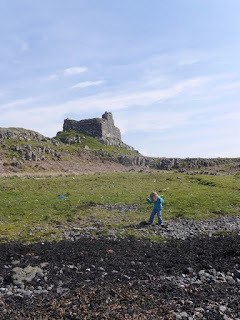 I learned about Somerled, the first Lord of the Isles, at Finlaggan on Islay. This is the inland home of the later Lords, an eerie, rush-filled loch hemmed in by heather and grey skies. Somerled’s descendants – the Donalds from whom all the MacDonalds and others are descended – were based here. There are places where you history breathes on your neck, whispers in your ear. That moment when the curtain shivers, and you can hear the clamour of voices, the stories that demand to be told and retold. I have felt that shiver in grand places: Hagia Sofia in Istanbul or the Pantheon in Rome. I have felt it in humble places: the ruined village of Mingulay, the grey mud left behind by the Thames at low-tide, where the hangman’s noose falls from the Prospect of Whitby sign in Wapping. There I was, at Finlaggan, amid the old stones and the drizzle, with an insistent voice in my head. I am the Lord of the Isles. Write my story. So I did. I went looking for Somerled in the records - where he appears fleetingly and rarely as a sometime friend of, and sometime rebel against, the Canmore Kings of medieval Alba. I looked for him in the myths, where he is a pure Gaelic hero who fought off the rapacious Vikings. I looked for him in the DNA studies – which show him spreading his tangled Norse-Gaelic genes with near Genghis Khan levels of enthusiasm. But there was not much to go on. His was not a culture of the written word. It was a culture of swords and sung poetry. As a historical fiction writer, I take the factual research incredibly seriously. My books on the English Civil War have been written on the shoulders of giant historians and mounds of primary material. The Somerled shelf on my bookcase – although as complete as I could make it – is slightly stocked. 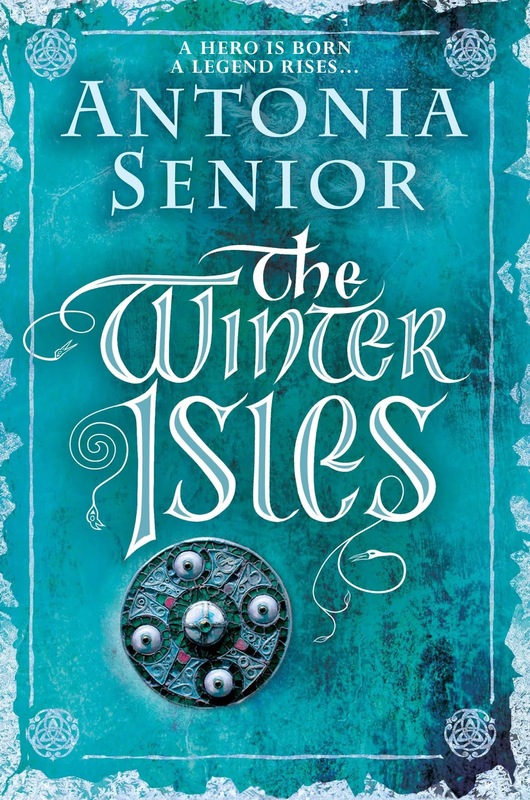 The Winter Isles, therefore, called for much historical imagination – all rooted in a sense of place. How would this landscape shape the men? What burden would the women bear? How would they cope with the cold, the relentless wind, the winter storms? What would it feel like, to lie in the damp, dark heather, watching the light spill from your enemy’s hall – to be the eyes watching in the darkness? To be the watched? Clues came from unlikely places. My husband and I were climbing a munro in winter with a lovely guide. His friend had experimented with hillwalking in thick, traditional tweed. It kept out the weather as well as modern gortex, said our guide, but once inside and by a fire, it steamed dry in great white clouds. The best historical fiction is filled with texture, with details like this one. There were big problems with the knowledge gap. No one knows where Somerled’s main stronghold was. He must have had one. Local legend in Morvern places him at Ardtornish, near Lochaline – a nub of land which juts out into the Sound of Mull. The name means Thor’s Headland in Norse. There is an atmospheric ruined castle at Ardtornish – but its dates are out. 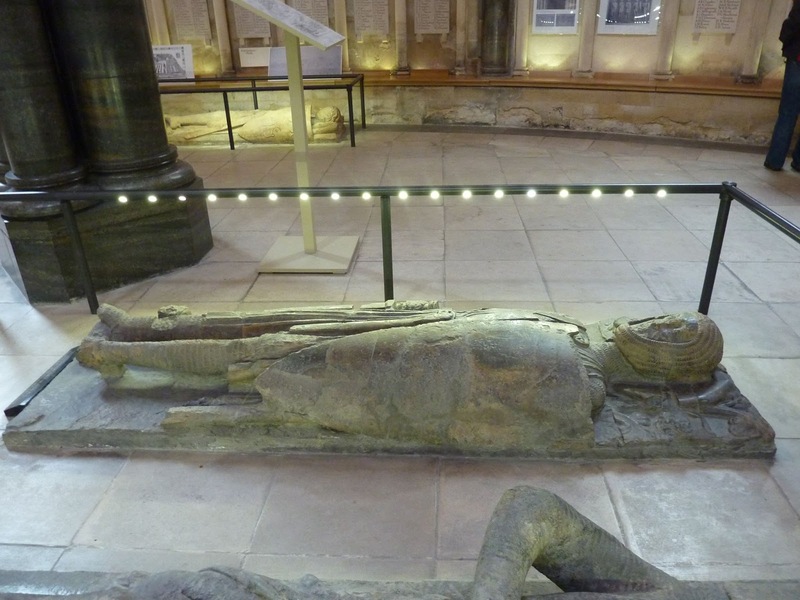 There is no archaeological evidence that sites our twelfth century hero here. Still, one morning, when staying alongside the incomparably beautiful Loch Aline, we walked out to Ardtornish Castle. It was a day of cool blue skies and violent winds. The waves whipped up the Sound of Mull, white-tipped. Across the water, Mull’s Ben More was snow speckled and unforgiving. From the water’s edge in front of the Castle, we could see all along the Sound in both directions. It was empty, but for the skirl of sea-birds. In the times of Gaelic dominion, these were busy seas – full of traders and merchants and travellers. 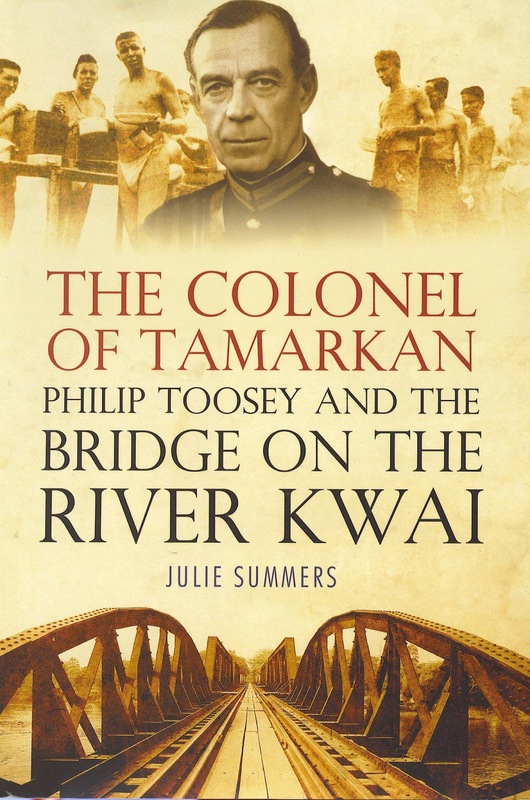 It seemed to me, standing on the edge of Somerled’s Morvern, that there was only one place he could have lived. Here. Scoured raw by the wind, and a rain that comes in sideways. But visible and dominant, and proud. Fact? No. But all historical fiction is a tangle of knowns and unknowns – and where there are known unknowns we must do our best to imagine fiercely and in good faith. We must rely on a sort of historical instinct. So I wrote the book that no-one – least of all me - wanted me to write. It was inspired by the land, and rooted in it. And, readers, it has been greeted with a gratifying enthusiasm. Sometimes, perhaps, you have to write with your heart, as well as your head. "Which historical fiction book do you think most successfully evokes place, as well as time?" Every picture tells a story is an old cliché but it is true. When it comes to illustrating non-fiction, well-used and thoughtfully captioned images can enhance understanding of a story. However all too often books contain pictures that are either poor quality reproductions or badly explained: pictures have to earn their place in books and that the author then has a duty to ensure that they are appropriately captioned. One of the most extraordinary photographs is of The Endurance. 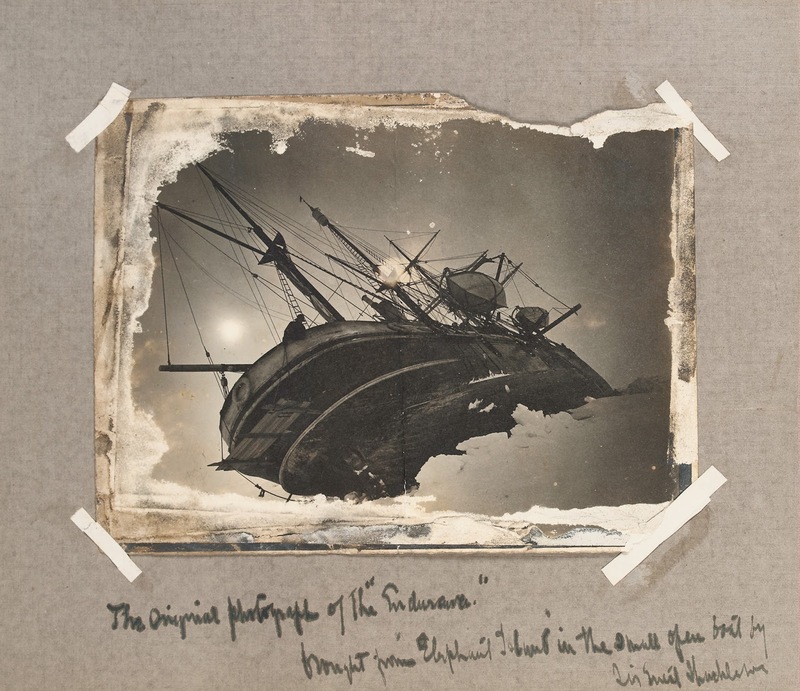 On the face of it this picture is of Shackleton’s ship sinking into the ice of the Weddell Sea in November 1915. What is significant about the photograph, taken by Frank Hurley was that Shackleton carried it with him in his pocket when he sailed from Elephant Island to South Georgia to raise the rescue mission for the men left behind. 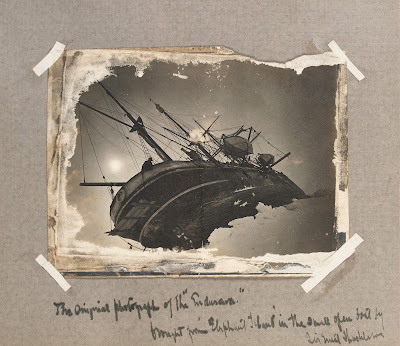 Now here’s the critical thing as far as I am concerned: Frank Hurley took a photograph of a sinking ship. Fine. He developed the glass plate (approximately 12" x 8”). Where? On the ice. In a tent. Then he made a little print for Shackleton. Not a big one. Shackleton could not have fitted a big one into his pocket. Where? Also in a tent on the ice. Moving ice at that. In fact we know that Hurley kept a selection of the photographs he had taken on the voyage, prior to The Endurance sinking, because it is recorded that he and Shackleton had to make the terrible decision to jettison the majority of the glass slides as they were so heavy. Shackleton succeeded in making his extraordinary journey in a lifeboat, the James Caird, from Elephant Island to South Georgia, some 800 miles across some of the heaviest seas in the world. He carried this photograph with him in order to prove who he was and what had happened to his ship. It is only slightly more remarkable that the actual photograph still exists. 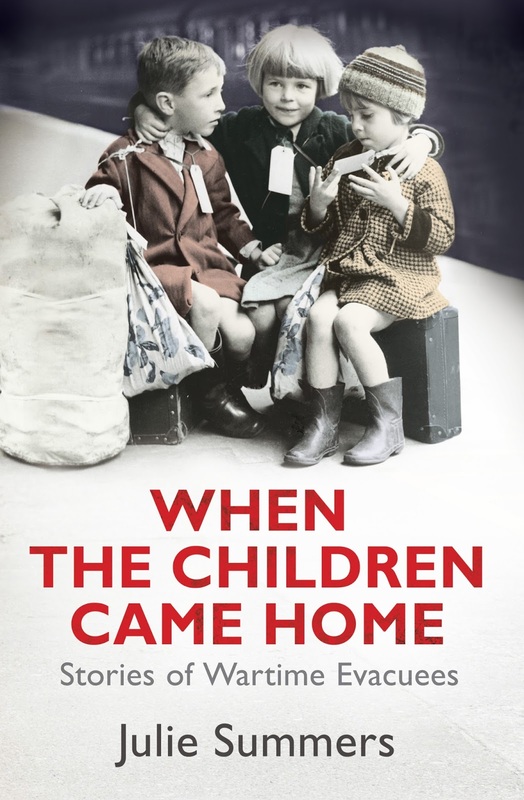 When my editor was looking for a photograph for the front cover of my book about evacuees she chanced up a famous image of three little children sitting on suitcases with luggage labels round their necks. The picture says everything about the mass evacuation of unaccompanied school children from Britain’s cities to the countryside in the Second World War. Except that this picture is not quite what it seems. 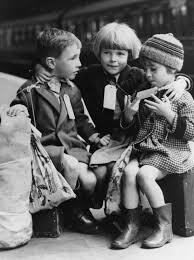 It was taken not in 1939 but in 1941 when the children were about to leave from King’s Cross Station for Northampton. They had in fact been evacuated with their parents to Chislehurst Caves in Kent at the beginning of the war but returned to Greenwich before Christmas 1939. It was only when their father got a job as a driver in the RAF that their mother decided the children needed to be evacuated. Barbara, the oldest of the children, seated in the middle, had no recollection of the photograph being taken. Her memories of that day are of being left by their mother and ending up in a beautifully clean house smelling of lavender polish. She and her sister, Rosie, spent eighteen very happy months with Mr and Mrs Rice. When I finished writing the biography of Joyce Grenfell, my mind was overflowing with facts, dates and details. I needed to do something practical, an activity that required a different kind of concentration. Not being much good at carpentry, constructing a fitted desk seemed an ideal way of expunging three years’ research. The perfect place to put it was in the corner of my first-floor study between two windows: one facing south, the other west. My skills were stretched and my brain emptied as I sawed, drilled and screwed my new desk, complete with a sliding shelf for my keyboard. On the shelves above my computer are the books I might want instantly – addresses, diary, dictionary, and some I just like looking at, such as 14 volumes of Chamber’s Encyclopaedia. Two other walls are filled with shelves crammed tight with books and on the floor are piles of papers, always waiting to be sorted. A few years ago, when the shelves overflowed and the piles began to topple, I designed a staggered staircase up to the attic and filled it with more bookshelves. They soon filled up too. Looking out of the South window, I decided it needed to be extended into a full-length window. The construction of that was a severe test of my marriage. The sliding window arrived in many unlabelled pieces, with instructions translated from Chinese. ‘Make the several parts (B) to commit inwards besides themselves(Y).’ By committing ourselves to extreme patience, both the window and the marriage held firm. The new window looks over the back garden, in summer a jumble of artichokes, raspberries and rambling roses. Skittling between the vegetable beds are our moving flowers –coloured Peking, Frizzle and Mille-fleur bantams. The Indian runner ducks compete with robins and blackbirds for grubs in the soil. In spring, the view is filled with a blaze of bridal white pear and blushing pink apple blossom, followed by the intense blue of wisteria cascading over a self-seeded ash tree. In the winter, beyond the tangle of oak and silver birch branches, I can see Temple Cowley Pool. Many a paragraph was untangled in my mind as I swam up and down the slow lane. But that’s history now: the pool has closed, soon to be replaced with flats. To the left is the tower of St Luke’s Church. When it was built by Lord Nuffield in 1938, the workers of his Morris Motors factory threatened to go on strike. ‘If you can afford to build a church, you can pay us more.’ So he paid them more. But by 1999, the factory had declined from over 20,000 workers to a few robots and the church had become redundant. My oak kitchen table was the altar which I rescued from a pile of rubble during the building’s renovation as the Oxfordshire History Centre. It’s a quiet place to research local history, where I discovered that my house was built in 1929, and belonged to a vet called Mr Snodgrass. Through the West window I can see squirrels leaping through a beech tree, wheeling red kites, down Cowley hill to the dreaming spires, and beyond the city to Boar’s Hill. Looking West to Oxford's 'dreaming spires'. The wall opposite has a large whiteboard with scribbled ideas, lists and reminders. Many of these have spilled onto the surrounding glass-framed drawings of a Norfolk lane, a Russian monastery and the 1908 Olympics. In the afternoon, a myriad of ‘camera obscura’ images of the sun, formed in the tiny gaps between the leaves, appear dancing on the wall. Husband and grandchildren waiting in the view. As the sun sets, I spot my husband wandering down the garden to the bay tree, carrying a bottle of wine and two glasses. It is time to leave my desk and join him in the view. I won’t pretend otherwise. This February is proving to be a very bittersweet month. As I mentioned in last month’s blog, my new novel THE FORGOTTEN SUMMER was published on 11th February with a few nice events lined up by Michael Joseph/Penguin to launch it. A special and exciting moment for me as this new novel has been a while in the writing and I am very proud of it. Unfortunately, my wonderful Irish mother, Phyllis, – a best friend and big sister to me – died in my arms totally unexpectedly on 4th February. It was a gift for her that her passage between life and after-life was so swift and painless but a terrible shock and heartbreak for me. 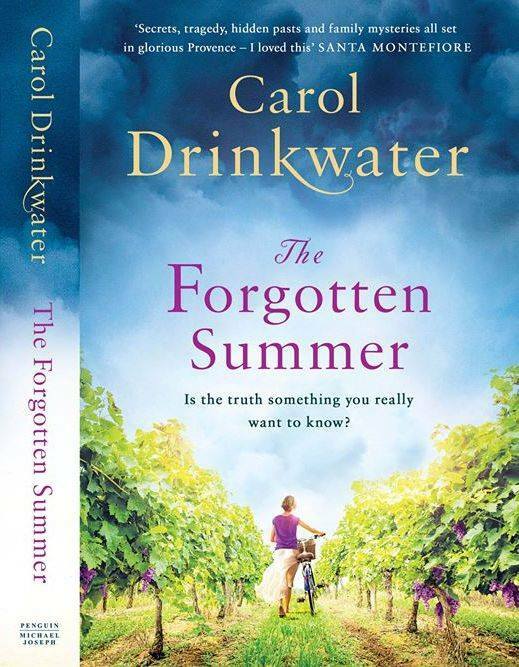 Obviously, the show goes on and THE FORGOTTEN SUMMER was published. 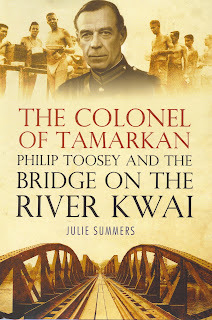 It has - I am writing this just a couple of days beyond its publication - been receiving some wonderful five-star reviews and seems to be selling very healthily. So, because I am locked in pre-funeral arrangements, I am going to cheat this month and post here the text I wrote for an article published in the Mail on Sunday Travel section on 14th February. It tells a little about my patch of Provence. "Provence is a large region of southern France. Officially, it is Provence-Alpes-Côte d’Azur, PACA. My corner is the geographically stunning tip that stretches to the borders of Monaco and Italy to the east, the Alps to the north, Hyères to the west and the sparkling Mediterranean to the south. The French Riviera or Blue Coast. Its reputation is so celebrated with tales of wealth, resplendence, decadence and all-night jazz hotspots that you expect it to disappoint, yet it never does. 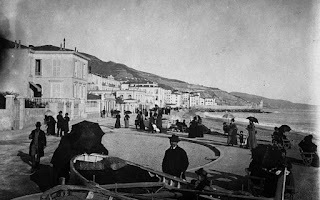 "Queen Victoria loved the French Riviera. She visited on nine occasions and did a great deal to bring this wintering resort its international reputation. Her first trip in 1882 delivered her from a damp Windsor by carriage, train, crossing the channel on her yacht, Victoria and Albert, descending by train to Menton, the last hilltop stop before Italy, appreciated today for its Val Rahmeh Botanical Gardens and its exuberant Lemon Festival. Victoria was entranced by the palm and citrus vegetation, the sweeping views and the benign microclimate. She made expeditions along the coast, eulogising the landscape, which she later described in her diary as ‘a paradise of nature’. The local shepherds, she wrote, were ‘very handsome’ in their breeches and ‘large, black felt hats’ that protected from the sun. "The widowed, ageing Queen returned regularly for the balmy climate. Her stays grew longer. One outing took her to the perfume town of Grasse, to Alice de Rothschild’s Villa Victoria. Alice had purchased 135 hectares of olive groves to construct her chateau. Spending millions, she laid out magnificent grounds and employed eighty full-time gardeners. Each year, she imported literally tons of violets to bed in the olive groves, giving vibrancy to the silvery fields while her forests of yolk-yellow mimosas perfumed the air. 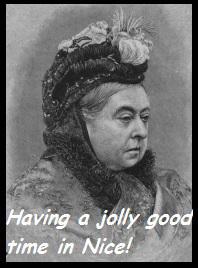 "According to gossip, our doughty Queen stepped clumsily and crushed several plants underfoot. Alice, infuriated, told her royal visitor in no uncertain terms to ‘get out’. Other versions of the tale suggest that Victoria planted a tree as was the tradition, digging it in herself, to commemorate her stay, or perhaps to offer her apologies? Baroness Alice, who suffered from rheumatic fever, spent six months of every year in Grasse returning to Buckinghamshire for the summers. 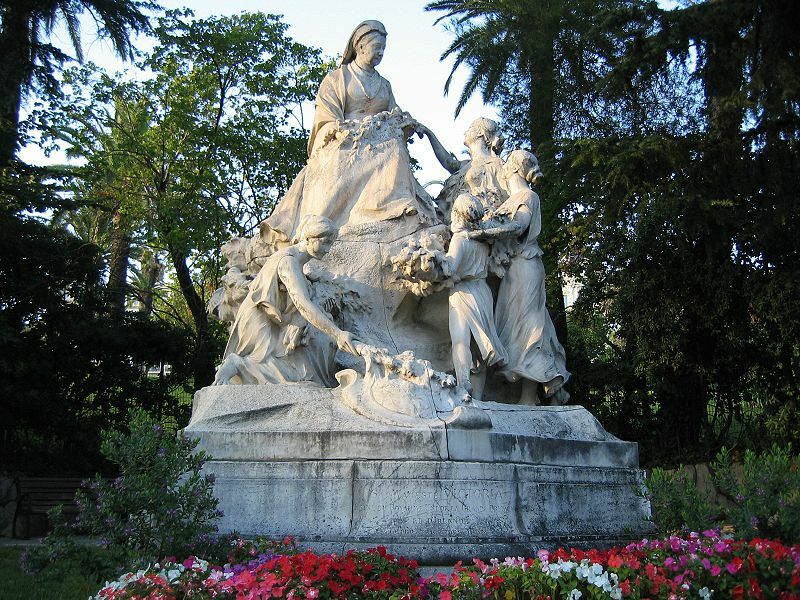 Statue of Queen Victoria in Cimiez district of Nice where stayed. "By the beginning of the twentieth century, Cannes and the coastal strip that winds its rocky way to Monaco was the winter resort for the rich, the royals and a few well-heeled writers and artists such as the Impressionist Auguste Renoir who in 1907 settled in Cagnes-sur-Mer where he hoped to cure the rheumatism that had crippled his hands. Renoir’s home is now a museum dedicated to the artist. A must see. "Around the turn of the century, two other members of the Rothschild banking dynasty constructed sumptuous properties along this coastline. The Villa Rothschild in Cannes was purchased by the local council and transformed into a media library while the Villa Ephrussi on Cap d’Antibes encircled by nine gardens with breath-taking views is open to the public and well worth a visit. If you are a budding painter, look out for Painters’ Day. In June, the villa opens its blossom-filled gardens to artists, offering them the inspiration and tranquillity required to create. In August, Ephrussi’s covered patio hosts a small, intimate opera festival. "Although much construction has taken place around Grasse destroying many of the jasmine, rose and lavender hills that serviced the perfumeries, a visit to the traditional houses, Galimard, Molinard, Fragonard, with their old copper vats on display is de riguer. Or drop by Le Jardin de la Bastide, a paradisical garden, where Michelle Cavalier is producing organic rosewater products. "Alice’s Villa Victoria is now Palais Provençal, an apartment block. "Only after the Great War did the area became a summer venue. In 1921, the American composer Cole Porter with his heiress wife, Linda Lee Thomas, rented a house in the little-known fishing village of Juan-les-Pins. They invited fellow Americans Gerald and Sara Murphy, also both heirs to fortunes, to accompany them. So enchanted were the Murphys with this magical coastal playground that they persuaded the palatial Hotel du Cap in Antibes to stay open for the summer. Friends were beckoned south. 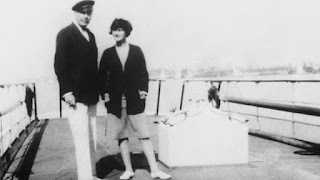 Amongst the wide circle of prestigious guests were Picasso with his first wife, the Russian ballerina, Olga Khokhlova, Scott and Zelda Fitzgerald and the Hemingways. "In 1924, the Murphys purchased a ‘seaside chalet’ near Plage de la Garoupe and christened it Villa America. The summer season was here to stay. Taste that mythical Jazz Age by dropping in to the Art Deco piano bar at the Hotel Belles-Rives, once Villa Saint-Louis, the rented home of the Fitzgeralds and incarnated in his classic novel, Tender is the Night. Sip your cocktail and gaze out at the emerald sea bobbing with linen-white yachts while a photograph of Josephine Baker with her pet cheetah gazes down on you. 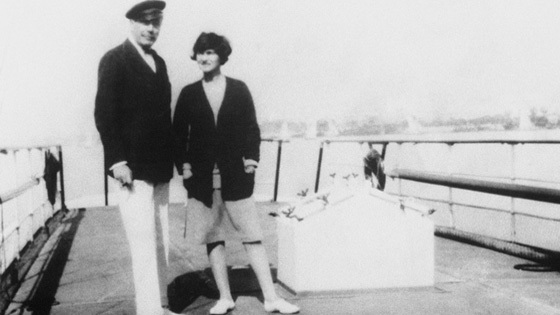 "In 1923, while in Monaco, Coco Chanel was introduced to the stupendously wealthy 2nd Duke of Westminster, known to friends as “Bendor”. The affair between designer and Bendor lasted a decade. While out sailing along the coast in the company of his couturier mistress, the Duke spotted a plot of land on a terraced hillside in Roquebrune-Cap-Martin. It had been part of the private hunting grounds of Monaco’s royal family. Bendor bought it and gifted it to Coco. When she returned to Paris, Coco was seen in a backless dress and bronzed skin. Until this time, to sport a tan was judged vulgar. 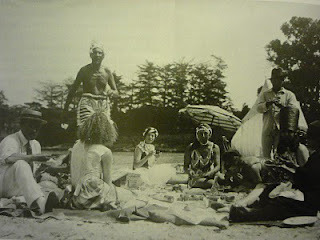 Only peasants were bronzed, but Chanel’s appearance in the city of fashion confirmed that sunbathing was the new mode. In 1928, Coco built the exquisite villa, La Pausa on the plot Bendor had given her. This hillside property with its lazy summer warmth remained her residence until 1953. "If you are fortunate to have friends like Bendor to take you sailing, the passage between Menton and Cannes gives marvellous coastal sightings of many iron-gated, stone-walled Belle Epoque mansions clinging to the rocks. Otherwise, healthy walks along the littoral offer you glimpses into the mysteries of how the other half lives. Who knows you might cruise by Ecstasea, built for Roman Abramovich, or Zaca, anchored in Pont de Fontvielle. One time it was Errol Flynn’s and it is whispered his ghost walked it decks at twilight. His other yacht, Sirocco, is docked near St Tropez and has been rechristened, Karenita. "In 1936, the Jewish socialist and three times Prime Minister, Léon Blum, revolutionised France by bringing in two weeks annual paid holiday for all employees. For the first time, the ordinary man could take a vacation. The luxurious Le Train Bleu, the Calais-Mediterranée Express which, apart from the Great War years, had been transporting the elite to the south since 1886, added second and third class sleeping carriages. Middle and working class families were off to the seaside and the Riviera was to change forever. "During WWII, the Cote d’Azur as a holiday destination closed down, but once the Allies had liberated the coast in 1944, the French Riviera’s infrastructure grew rapidly. In 1946, the Cannes Film Festival was inaugurated. Cannes was glamorous and chic while the international airport of Nice opened up the region to mass tourism. And so it has remained. "Provence-Côte d’Azur offers everything. Walking tours, camp sites, Greco-Roman history, vineyards, chic beaches, glitzy casinos, dozens of music or flower festivals, luxury villas, open-top cars, magnificent art galleries, Provençal markets. In winter, every Sunday coaches depart Nice airport at 9am delivering skiers one hour inland to the slopes, then back home in time for dinner. The spectrum is as broad as you wish and it’s all yours. Léon Blum would have been proud." I hope, if you have enjoyed this little snippet of South of France history, you might be tempted by THE FORGOTTEN SUMMER. It is set on a vineyard set back from the French Riviera coast. A love story with family secrets at its heart. Imogen Robertson’s fascinating January blog about Cherubina de Gabriak, a disabled school teacher who tried to reinvent herself as a beautiful aristocrat and had a brief success as a poet, set me thinking about literary charlatans. Ossian was perhaps the greatest poet who never was. 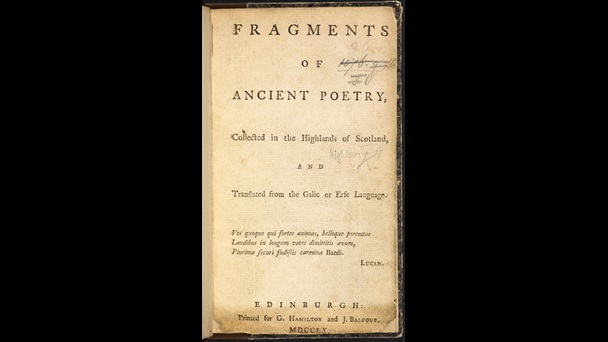 In the 1770s James Macpherson published his ‘translation’ of an epic cycle of Scottish poems written in Scottish Gaelic in the third century. Ossian, a blind bard, sings of the life and battles of Fingal, a Scotch warrior. Macpherson claimed that Ossian was based on an ancient Gaelic manuscript but nobody ever saw the manuscript and, in fact, there are no dark-age manuscripts of epic poems, tales, and chronicles and so on from Scotland because ancient Scottish poetry and lore were then purely oral. Whether the epic was genuine or not, Ossian caught the zeitgeist of a revolutionary, nationalistic age. When you’re reading about the eighteenth century Ossian pops up all the time: Napoleon carried a copy into battle; Goethe admired it and translated parts of it; the city of Selma, Alabama was named after the home of Fingal; Voltaire wrote parodies of the poems and Thomas Jefferson thought Ossian was "the greatest Poet that has ever existed". His poems were considered equal to Homer’s and were tranlated into most European and Scandinavian languages. 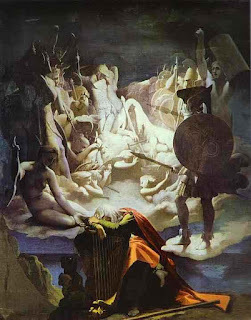 Writers as diverse as William Blake, Henry Thoreau, George Byron, Walter Scott, Elizabeth Barrett Browning and Matthew Arnold praised or imitated Ossian’s poems. Various Irish historians, including Charles O’Conor, pointed out errors in chronology and in the forming of Gaelic names and challenged Macpherson to produce the original manuscripts, which he never did. Samuel Johnson was convinced the poems were forgeries, he called Macpherson "a mountebank, a liar, and a fraud.” When he was asked, "But Doctor Johnson, do you really believe that any man today could write such poetry?" he famously replied, "Yes. Many men. Many women. And many children." However, Macpherson flourished. He ended up as MP for Camelford and became rich enough to buy a large estate in Invernessshire. His sentimentality about Gaelic culture didn’t prevent him from being a ruthless landlord when it came to the Highland Clearances. 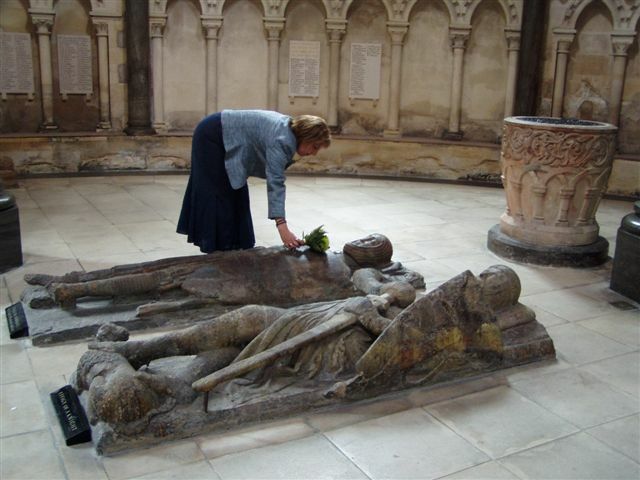 When he died in 1796 he was buried in Westminster Abbey ( a privilege he was said to have paid for), together with Chaucer, Shakespeare Spenser and Dryden. Does each generation get the forgeries they deserve? Although I don’t know anyone who reads Ossian now Macpherson’s contemporaries certainly thought he was a great poet. So was he? I’d love to know what you think about this. Letters from the Longest Battle, by Leslie Wilson. 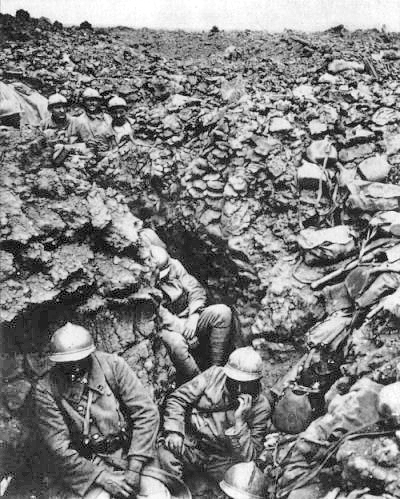 The battle of Verdun was the most drawn-out and probably the most futile battle of World War One; and it began a hundred years and two days ago, on the 21st of February, 1916, and lasted till the eighteenth of December that year. Briefly, it represented an enormous 'push' on the part of the German army to make a significant advance, and capture the Verdun forts. Von Falkenheyn, the German commander, intended to 'bleed France dry.' To that end, the most modern instruments of death were used; poison gas, flame-throwers, advanced guns. At the Franco-German commemoration of the centenary, Germany's ambassador to Paris, Nikolaus Meyer-Landrut said Verdun, in German memory, 'was the epitome of the pointlessness and savagery of World War One.' Nine villages were obliterated. 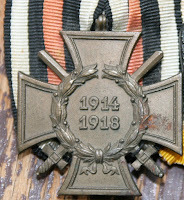 I have two connections to Verdun; on the one side, my great-uncle Leo Kolodziej fought and was killed there. His head was blown off, blown to smithereens, I guess, since only his decapitated body was found, something that gave my mother nightmares during her childhood. I know next to nothing else about him, except that he was the youngest of my grandmother's brothers, (and I think my mother said, my grandmother's favourite brother) which, since she was only fifteen in 1916, may well have meant that he had only just gone to the Front (soldiers were taken from age 17, in Germany.) But that last is only conjecture. The other connection is via close family friends in France, the Dufours. Achille Dufour, the father of Marc, who was my parents' age, and a kind of functional uncle for me, was a private in the French army, and survived, and I have the transcripts of some letters he wrote home to his wife Félicie, which Marc, before his death, very kindly authorised me to use in any way I wanted, though this is the first time I've been able to. 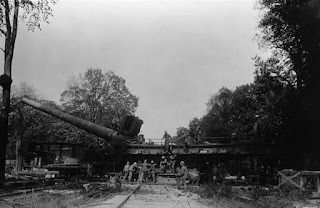 Within a very short time, the battlefield had become a landscape of craters - which you can still see, and the woods had been turned to stumps under the unrelenting bombardment of weaponry from both sides. The entire landscape was permeated by the smell of rotting corpses, especially in the summer, as it wasn't possible to get them and bury them. Achille told his children how the men often had to drink rain water from the craters, but there was also a stream they got fresh water from. One day, they found the corpse of a German lying across the stream, and so their officer gave them bleach to add to the drinking water; this was known as 'Verdunisation', so presumably it was a common expedient. The food was dreadful (better for the officers) and Achille succumbed at least once to dysentery. Achille did survive, and was reunited with Félicie at last. 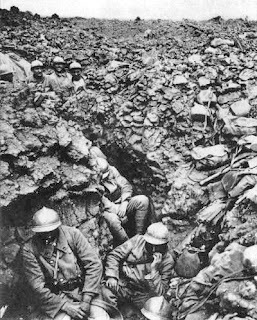 But this is the estimated toll of Verdun; on the French side, between 315,00 and 542,00 dead and wounded; 156,000 to 162,000 killed. 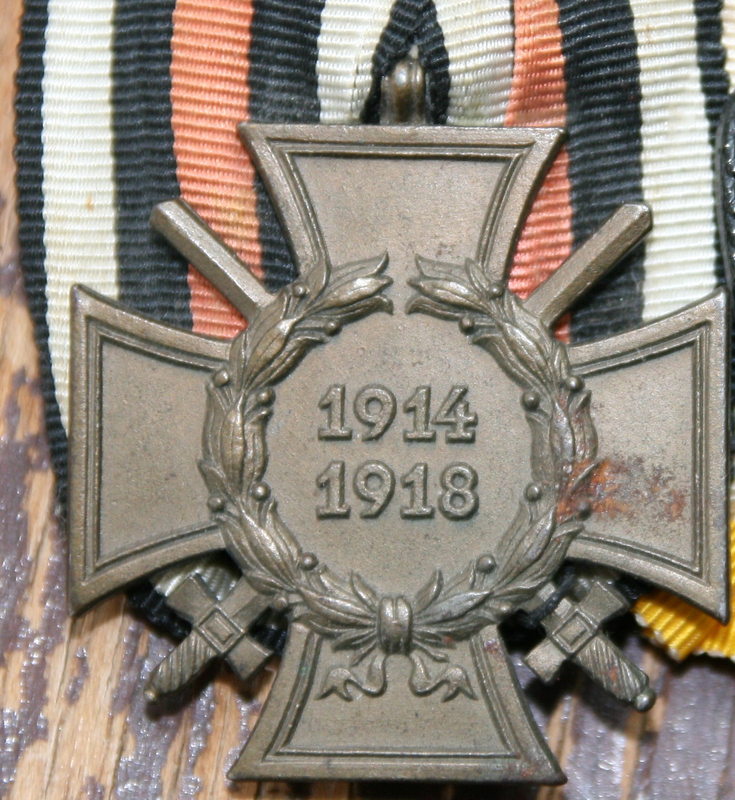 On the German side, 281,000 -434,000 dead and wounded; about 143,000 killed. (I don't understand why the massive uncertainty - perhaps someone can tell me?) One of the dead was my great-uncle. German war graves. Photo, Julian Nizsche, Wikimedia Commons. And the 'war to end all wars' only brought forth a second world war, in which Achille's son Marc became part of the Resistance, and one day found himself obliged to shoot a German soldier who wanted to know what he had on his bicycle (it was full of rifles). And yet Verdun has since become a symbol of Franco-German reconciliation, and in the Sixties Achille's son, daughter-in-law and grandchildren formed an enduring and loving friendship with the daughter of a German officer, her husband and her children. In our two families at least, peace was truly made. In memoriam: Leo Kolodziej, and all the thousands of others whose lives were thrown away at Verdun. And with grateful thanks to dear Marc Dufour. The thought of a flock of sheep running wild in Cavendish Square seems bizarre to say the least, but in the eighteenth century it was all part of the trend to create ‘rus in urbe’. 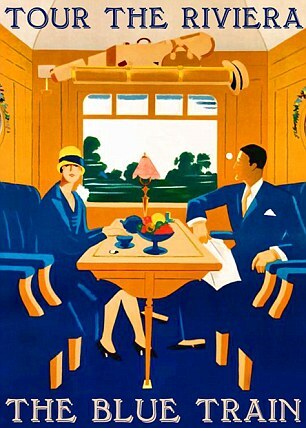 Then as now, the emulation of country life was promoted as a soothing therapy for the stresses of life in the capital. Not everyone was convinced. 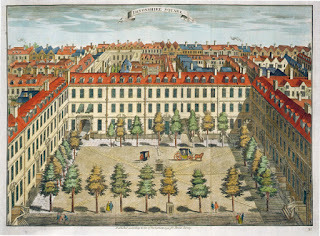 As John Stuart said of the Cavendish Square fiasco in 1771‘to see the poor things starting at every coach, and hurrying round their narrow bounds requires a warm imagination indeed to concert the scene into that of flocks ranging in fields with all the concomitant ideas of innocence and pastoral life … The ‘rus in urbe’ is a preposterous idea at best’. Some would say there has always been a strong element of the country in town – you only have to look at the number of 4x4s, Labradors and Barbour jackets in Fulham. Indeed, it is over two hundred years since the great royal parks, garden squares and pleasure gardens came to life. 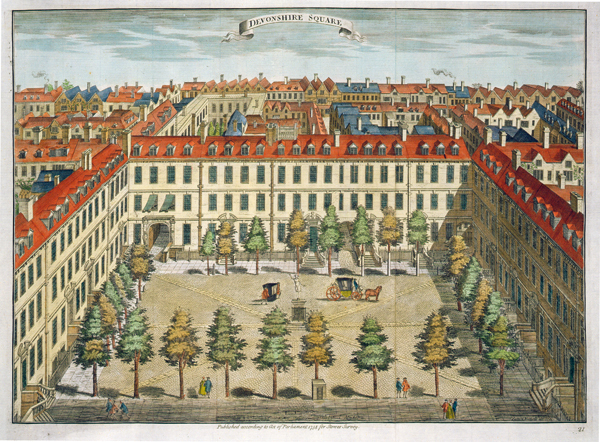 The parks still enjoyed today were famously described as the ‘lungs of London’ by William Pitt in 1808, and the face of the capital was transformed by the eighteenth century fashion for all things picturesque and rustic. 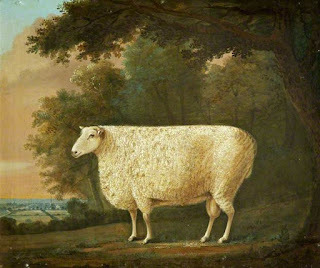 At Richmond, Charles Bridgeman turned the royal gardens into a pastoral idyll, introducing ‘cultivated fields and morsels of forest appearance’ according to Walpole. John Nash inspired the exodus to the suburbs with his developments at Park Villages East and West. Soon speculative developments of lesser villas were springing up all around the fringes of the capital, capitalising on the burgeoning desire of the middle classes to live like the gentry in country houses near to town. As a major capital London still has the benefit of some of the best green public spaces in the world. Lose yourself on a spring day on Hampstead Heath or Wimbledon Common and you feel like you are a million miles from the centre of town. Look at a map of London, and you will see that the heart of the city is alive with green areas. The other half of Dr Johnson’s famous quote about the capital says ‘there is in London all that life can afford’. Nowhere is this clearer than where town meets country. There may no longer be sheep in Cavendish Square, but ‘Rus in urbe’ is a luxury we can't afford to be without. Just a quick one from me today. 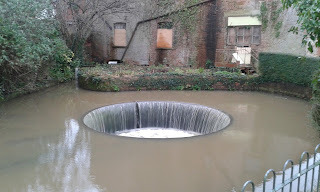 I wanted to show you this picture of water with a hole in it. This is the Tumbling Weir at Ottery St Mary in Devon. It’s a unique cast iron structure, built in the late 18th century to take excess water from the mill leat back to the River Otter. The pond was raised to provide extra power for a new mill built by local philanthropists of the time who saw the hardships the locals were suffering as the local woollen industry declined. It was never an unqualified success, but provided employment for many of the population for over a hundred years. A sign overlooking the weir told us the site was cleared by volunteers when it was in danger of being choked with rubbish and weeds. Good for them. The mill itself is derelict and deserted, or ‘awaiting development’ if you prefer. We need another philanthropist. I suggested converting the building into a retreat for writers and artists, complete with performance space and world-class library. Mind you, I say that whenever I see a large deserted building. My husband suggested subsidised workshops for local craftsmen and women. We compromised on both. There. We have a plan. Now bring me an oligarch. I have written three novels about two families, set in the seventeenth century. All have their roots in true events. Like most people, I suspect, I’m heartily thankful I did not live in that tempestuous period, yet it is endlessly fascinating. Social and religious pressures had been building up over the preceding hundred years or so, and in the seventeenth century – in England as elsewhere – they exploded. Ordinary men and women were better informed, even more literate, than before. Developments in printing and the foundation of many grammar schools had contributed to educating a population which was prepared to question the traditional religious establishment and the social hierarchy. 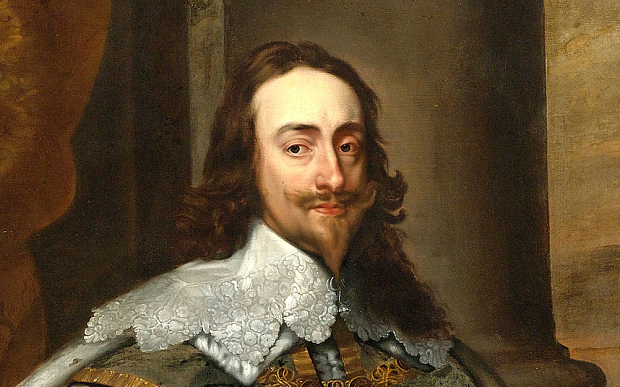 The dictatorial stance of the early Stuart monarchs, especially Charles I, was the final spark which lit this particular powder keg. It is little wonder that the times gave rise to the revolutionary ideas of Levellers and Diggers, to confrontation between an elected Parliament and an anointed king, to clashes between Puritans and traditionalists. Opportunist land-grabbers fought with rural communities. Soldiers mutinied. Portents were observed. And innocent people – often old and poor – were sentenced to death for witchcraft. 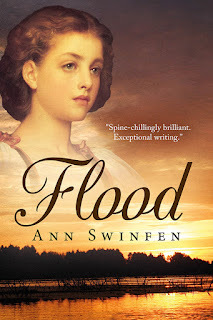 The first of my novels set in this period, Flood, arose from my reading about how unscrupulous speculators seized the communally-held lands of East Anglia and undertook illegal drainage schemes with often disastrous results. The local people fought back, and amongst their leaders were women, many of whom were injured or imprisoned, some of whom died. 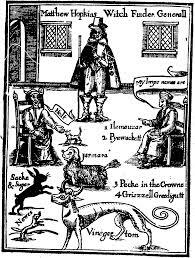 To compound the horrors of the situation, this was also the time of ‘licensed’ iconoclasts who smashed up parish churches, and of the monstrous career of Matthew Hopkins, Witchfinder General, whose fanatical search for victims ranged over the same area. I chose as my protagonist in Flood Mercy Bennington, the daughter of a yeoman farmer, who becomes one of the women leaders of the fenlanders, fighting for her family and village, trying to save their lands and livelihood. 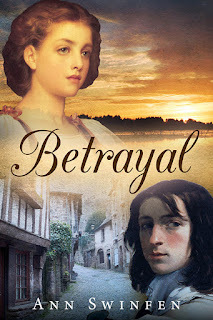 The second novel in the Fenland series takes the story further; Mercy continues the struggle in the country while her brother Tom travels to the Inns of Court in London, in search of the fenlanders’ charter granting their lands. So how did I come across the account of this struggle in the first place? It was during my research into events in England in the mid seventeenth century for quite a different book. As part of the general research, it never became an element in that book but remained filed away in my memory, to emerge again later as the story of Flood. And what was the other book? This Rough Ocean. I suppose I’m like most writers: some ideas come swiftly and are written at once, others stay with you for a long time, quietly maturing, like a fine wine. We need to backtrack many years here. 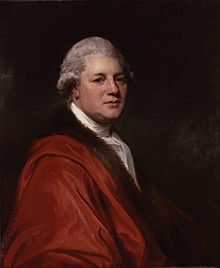 My father-in-law had done some research into the Swinfen family of Swinfen in Staffordshire, partly spurred on by another descendent who worked for Burke’s Peerage. It emerged that the family was very well documented. A Norman knight, shortly after the Conquest, had married the heiress to the Swinfen estates and taken the name Swinfen in place of his own (de Auste). As landed armigerous gentry, they were well covered in the historical record and early genealogies. Like most families of their class, they carried out their duties as substantial landowners over the centuries – not aristocracy but holding an important position in their own shire. Also like other gentry families, they began to rise under the Tudors and came to real prominence in the seventeenth century. An interesting link with my own Christoval Alvarez series of novels is John Swinfen (c.1560-1632), grandfather of one of the protagonists of This Rough Ocean. 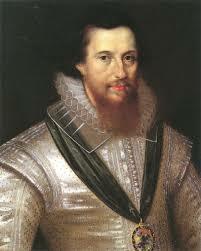 When Robert Devereux, Earl of Essex, was executed for treason in 1601, his widow, Frances Walsingham, daughter of Sir Francis Walsingham (Christoval’s employer), was deprived of her lands and her son of his inheritance. John Swinfen helped her to recover them from James I. 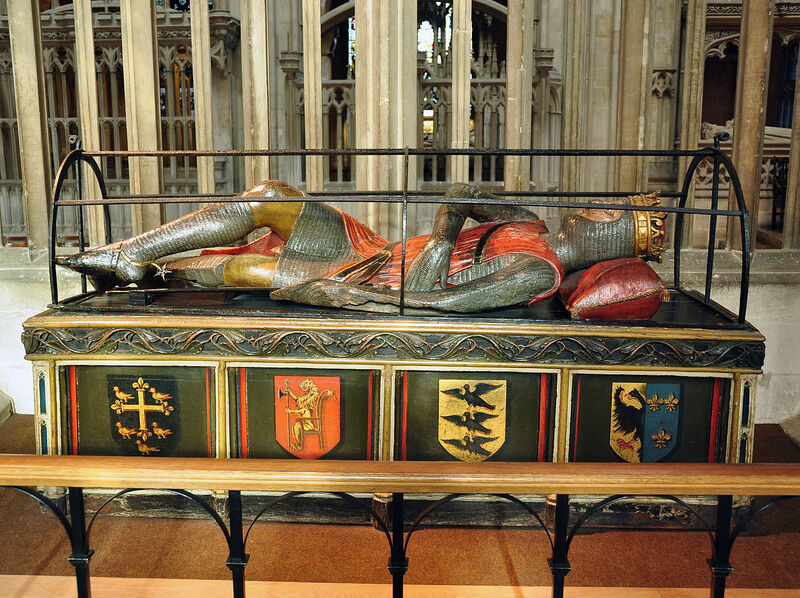 He also christened one of his sons Deveroxe just after Essex’s execution, which must have taken some courage. However, it was this John’s grandson, John Swinfen or Swynfen (1613-1694) who is the most interesting. He attended Cambridge and Grey’s Inn, then became a Member of Parliament at a young age. He was therefore at the centre of the most dramatic events of the seventeenth century – born while Shakespeare was still alive, he lived through the reigns of James I, Charles I, the Protectorate, Charles II, James II and into that of William and Mary, and also through the Plague and Fire of London. 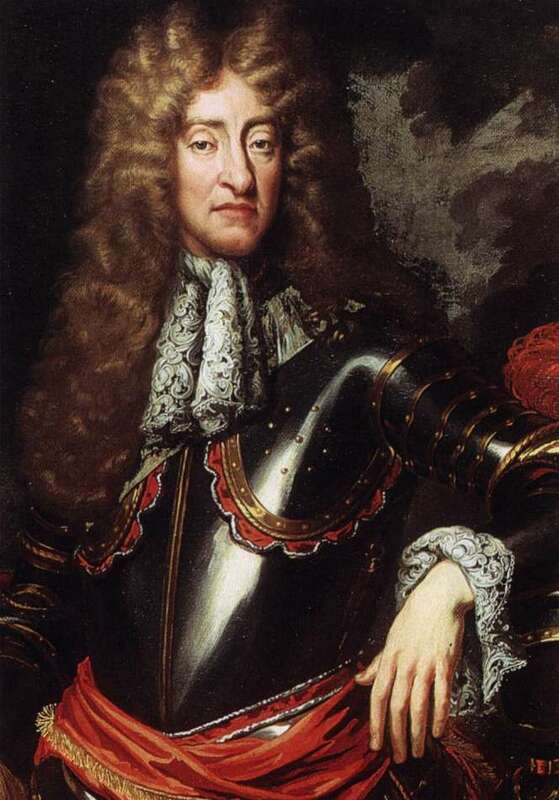 Caught up in the struggles between Parliament and the king, he was imprisoned twice – once by Cromwell for opposing the killing of the king, once by James II on a trumped-up accusation of being involved in Monmouth’s rebellion. Ah, the dangers of being a Moderate! Both extremes hate you! He lived long enough to be one of the founders of the Whig (Liberal) Party. I found this entire career fascinating, and my husband plans to write the definitive biography, but I wanted to capture some of this rich life in a novel. Clearly the whole life was far too large a subject, so I decided to concentrate on the period immediately following Pride’s Purge. John and his Moderate colleagues had persuaded Parliament to vote to treat with the king on the basis of an agreement whereby most of the powers of government would be handed over from the king to Parliament. The Moderates rejoiced. An end to the Civil War at last, on terms favourable to Parliament. 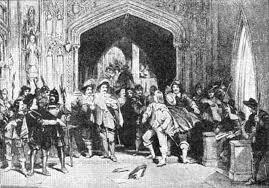 The next morning, all those MPs who had supported the treaty were driven away from Parliament by armed soldiers of Cromwell’s army, commanded by Colonel Pride. The most important, including John, were imprisoned. 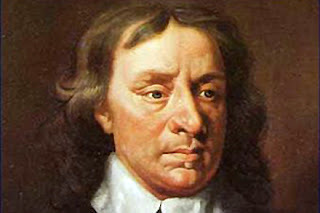 The MPs not excluded were believed to be favourable to Cromwell and his supporters, but many soon followed their consciences and withdrew, leaving the mockery of the ‘Rump Parliament’. My novel, This Rough Ocean, tells the story of the imprisoned John and of his wife Anne, who makes a dangerous winter journey home to Staffordshire with her young children. Once there she finds the estate and its people on the brink of collapse into ruin and starvation. She alone must take on her husband’s role, running the large estate and averting disaster. The two stories are intertwined, as husband and wife each fight for survival. I have always been intrigued by the lives of ordinary people in the past. We hear much about great rulers and men of power, but dig a little deeper and there is a great deal to be discovered about everyone else, the poor, the quiet farmers, the craftsmen, the minor players in the large events. In Flood, Betrayal and This Rough Ocean I’ve sought to tell the stories of those turbulent years of the seventeenth century, based on two families – a yeoman family and a gentry family – ordinary people caught up in extraordinary events.